'Fortnite Battle Royale' players will soon get a new grenade and a new trap. Epic Games has added a few new items to "Fortnite Battle Royale" lately, and the most notable new additions are jetpacks and shopping carts. While shopping carts are not inventory items, they are a big addition as they help players move around the map much more easily. On the other side, jetpacks are in the game for a limited time and they will most likely be removed very soon. Beside these two items, Epic Games also added a new trap, which is basically a reinvented Jump Pad. This won't be the only trap that will be added to the game, however, as "Fortnite Battle Royale" files indicate the presence of another trap. 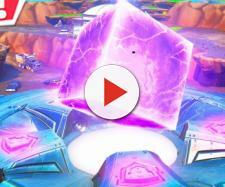 Unlike Bounce Pad, the new trap will be used against enemy players, and the game developer will also add a new type of grenades. If you play "Fortnite's" Save the World mode, you are probably familiar with a Ceiling Drop Trap. There are three different rarities of this trap in the PvE mode, and the trap drops a payload of tires from up to three tiles high. It is unknown how this trap is going to work in "Fortnite Battle Royale," but it won't be surprising if the game developer keeps it the same way. However, it will most likely only have one rarity in the PvP mode. It will be interesting to see how Epic Games will implement this trap into the game. Considering that it could be used to damage players from a relatively long distance (three vertical tiles), it might change the way players attack their enemies' bases. According to datamined info, the trap will be called Ceiling Falling Trap, and its description states the following: "Drop a series of tires on enemies from up to three tiles high." The game developer recently nerfed spike traps to deal only 75 damage, so this new trap might balance it out. Smoke Grenade was moved to the Vault a few months ago, but it seems that Epic Games is bringing another variant of it to "Fortnite Battle Royale." This time, it will be called Stink Bomb, and it seems it will be used to deal area-of-effect damage to enemies. "Hurls a grenade that unleashes a cloud of poison. Better clear out!" is the description of this item. In other words, this will be "Fortnite's" own version of a gas grenade. At the moment, it is unknown how it will work, but it will most likely deal damage over time as long as players are standing in the gas cloud. 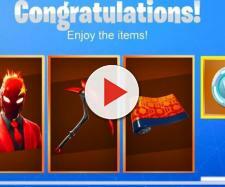 Release date of these items hasn't been revealed yet, but it won't be surprising if the developer releases them next week!